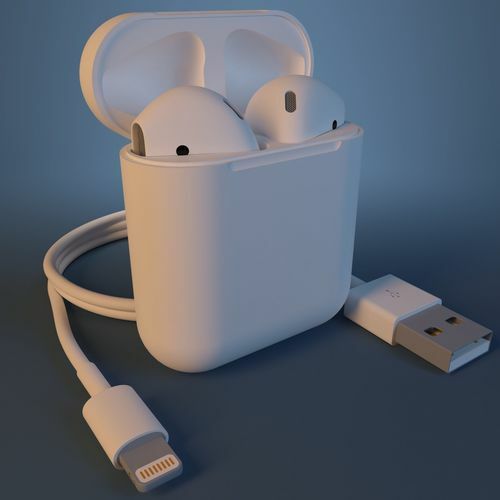 High quality model of AirPods. Photo real model to 3D Printing. The lid of the case can be opened after 3D printing. Great model - produced to a professional standard. Also the customer service was very good as I was helped with inquiries about the model after purchase. Hi, I have a question regarding this 3D model. How can I be sure this are the specific measures of the device? Can I get this model in Solidpart, please? I do not have a program that converts in STEP format. Tell me what program do you use? Wow this is amazing. I think this is one of the most talented 3D designers I have worked with. Thank you for everything Vladimir! Thank you I am pleased work with you too! I always make the product of the highest quality! Does not come in to scale and none of the pieces can be taken apart. This model was not very accurate and was not very useful.